Mortal Kombat 11 is just a month away now, and the reveals are coming fast and furious! Earlier this week NetherRealm Studios unveiled Kotal Khan, Jacqui Briggs, and new closed beta details, and just minutes ago during a C2E2 panel, Ed Boon and company revealed two more big characters. First off, we have confirmation Sub-Zero’s evil brother Noob Saibot is part of the roster. Check him out in action! Dang, now that’s a creative Fatality! 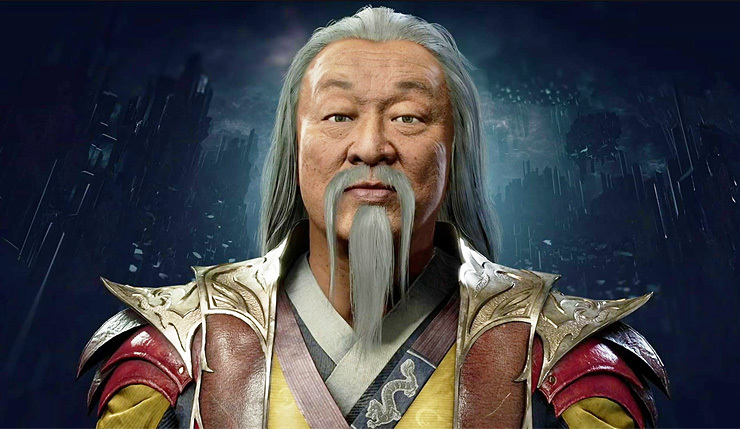 Ah, but NetherRealm had something even more exciting than Noob Saibot to announce – MK11 will also feature Shang Tsung, who will be portrayed by Cary-Hiroyuki Tagawa, the actor who played the character in the gloriously cheesy 90s Mortal Kombat movie. Now that’s some quality fan service! Shang Tsung be both host for The Krypt where you unlock various goodies, and the game’s first DLC character. You can check out a quick tease for Shang Tsung/The Krypt, below. NetherRealm has yet to detail how they’ll be selling DLC, but you can probably expect them to release Kombat Packs similar to Mortal Kombat X, each with several new fighters included. Noob Saibot and Shang Tsung join 16 other confirmed MK11 fighters — Kotal Kahn, Jacqui Briggs, Cassie Cage, Erron Black, Scorpion, Raiden, Sub-Zero, Sonya Blade, Skarlet, Baraka, Kano, Kabal, D’Vorah, Jade, Johnny Cage, and new character, Geras. Of course, those are only the ones NetherRealm has officially announced – the game’s full launch roster seemingly leaked earlier this month. Get the full rundown here. So, what are your thoughts on Cary-Hiroyuki Tagawa returning to play Shang Tsung? As somebody who still insists Mortal Kombat is the best video game movie ever made, I’m pretty excited. If you aren’t for some reason, here’s some music guaranteed to get you pumped. Test your might! Mortal Kombat 11 slices and dices on PC, Xbox One, PS4, and Nintendo Switch on April 23. The game’s closed beta kicks off on March 27 – you can get more details here.